The stylish L’Hotel Elan Hong Kong is ready for business and offering discounted “Soft Opening Rates” until August 31, 2012. Starting from HKD988 (USD126) per night, the package includes complimentary breakfast at Forte restaurant, welcome snacks, mini-bar beverages, internet access, local calls, and use of the pool and fitness center. A 10% service charge is additional. Exact room rates vary by date. The quoted price is for a “Blissful Zone” room furnished with one king or two double beds. Rates are based on single or double occupancy. 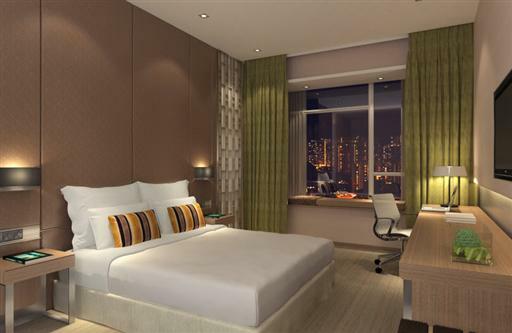 L’Hotel Elan is a new boutique hotel located in Hong Kong’s Kwun Tong neighbourhood. Its 254 guestrooms and suites are superbly appointed with modern furnishings and amenities including an LCD TV, DVD player, and iPad “eGuest system” with an alarm app and pillow menu. Facilities include a rooftop swimming pool, 24-hour fitness center, and restaurants. Visit http://www.lhotelelan.com/ for more information or to make an online booking. L’Hotel Elan can be contacted by calling (852) 3968 8666 or emailing info@lhotelelan.com.